When I began to travel many moons ago – and for long thereafter – travelers in Latin America had only one choice of transport: the regular or local buses. Talking of these with many old-time journeyers provokes tales of “chicken buses” – hand-me-down school buses in which humans, chickens and other livestock (including goats!) ride together. Recently a new type of service has begun rolling down the highways: hop-on buses. With the years, regular buses have evolved into being quite luxurious means of transportation – especially in many South American countries. 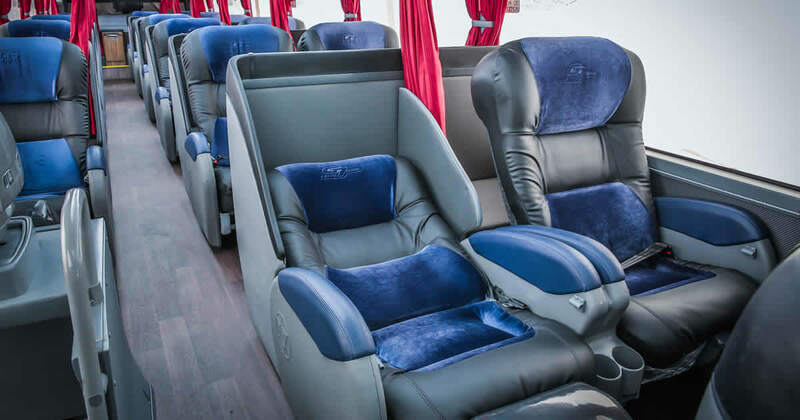 There is a broad range of choices, with seats being larger and more comfortable as you upgrade: choice between classic (slightly reclining seats), semi-cama (semi-bed, or 140º reclining seats) or cama (bed – reclining to 155º). In some places, a special salon cama service is offered with fully reclining seats within a private cabin. 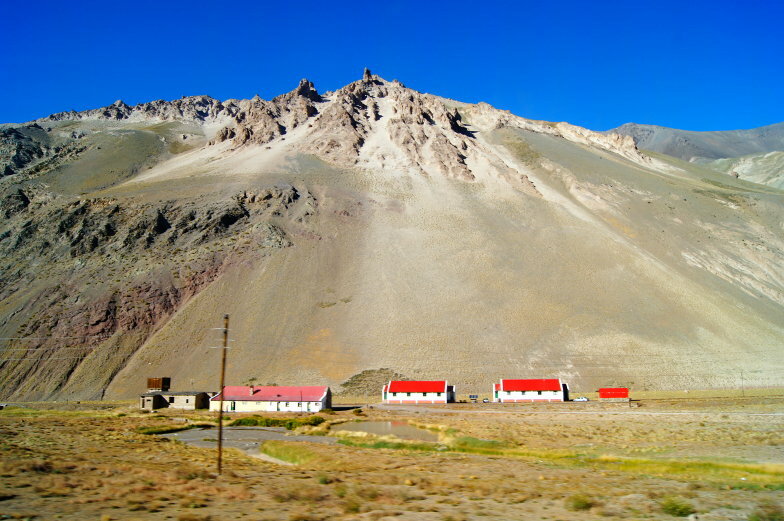 And the service aboard – everything from the old-fashioned buy-goodies-out the windows from women vendors at the road side to rest stops every once in a while – and to full-service (and yummy meals – especially in Chile and Argentina, where you can opt for wine to accompany your repast!) complete with terramozos (stewards). But I became curious about the hop-on buses some of my friends have been talking about of late. This service arrived on the scene fairly recently – and so an experience outside my scope. I decided to check out the hop-on bus companies in Ecuador, Peru and Bolivia. The companies offer on-line ticket purchase, pick up at your lodging and bilingual guides. Travel is done in their own private buses and on routes that include the most popular tourist destinations in each country – like Quito, Baños, Cuenca and Montañita in Ecuador; Lima, Arequipa and Puno in Peru; and Copacabana and La Paz, Bolivia. They promise safe journeys, comfort and interaction with the local people. I delved deeper into their websites to see what precisely are offered: Small buses for shorter routes (which made me wonder how much leg room there would be for taller travelers) and semi-cama buses on longer routes. USB ports for your gadgets, GPS for road safety. I can see where hop-on buses would be tempting for some travelers, with the assurances of safety (especially from petty theft) and having someone to help you with the language. But I find such an experience insulating, to be honest. I travel to be with the local people and to learn from them. It means learning the language of the land where I am traveling – and with all the misunderstandings that may arise. Perhaps getting to the bus terminal is an adventure, but that is part of learning to be in another country. Plus, there are tips to make bus journeys safer and more comfortable, and regular bus tickets are infinitely less expensive than a hop- on bus. And with AndesTransit, tickets can be bought online. Many of the arguments presented by the hop-on companies began to fray in my thoughts. The biggest argument against them, in my book, is that just like how some guidebooks make a deeply trodden-gringo trail through countries – well, so do these buses with only limited destinations, and the most popular ones with foreign tourists at that! I want the flexibility to travel when I want to and where I want to – even to further flung destinations – like Muisne, Coca or the Chota Valley in Ecuador. In Peru, I want to explore the northern coast with its wonderful beaches like Colán and Zorritos. And so many places to know in Bolivia: Oruro, Santa Cruz, Samaipata. All ofthese destinations are outside the scope of the hop-on bus companies. For me – I prefer to be in the open air, experiencing life of the country where I’m visiting – not being in a protective bubble. It is from these real-life, one-the-ground, dirt-and-sweat adventures that provide travel tales to share around the table over beers. But no matter how you travel – Safe Journeys!